1: Alien project - One good (Stryker remix). 2: Laughing Buddha vs Space Tribe - Brave new World. 3: Circuit Breakers - Venera 7. 4: Martian Arts & Radical Frequencies - Radical Arts. 5: Dickster & Burn in Noise - Tumbleweed. 6: Spirit Architect & Try2fly - Keep Going. 7: Dissy & Overcast - Star with no Planet. 8: Sunrazers - Visual Image. 9: Alpha portal & Ajja - The Other side. 10: Cosmosis - Gift of the Gods (Sabretooth remix). 12: Dickster & Hypnocoustics - Low Rider. 13: Dickster - Elastic Dreams. 14: Djantrix & Spirit Architect - Hallucinogenic Battle. 15: Electric Universe & Raja Ram - Brain Forest. 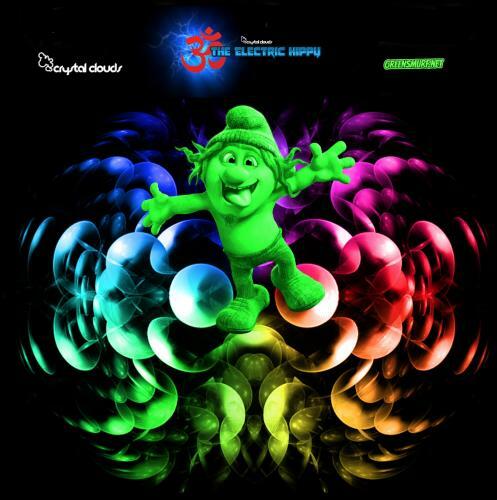 16: Electric Universe & Raja Ram - Gateway. 17: Djantrix & Spirit Architect - Experimental Virus. Ghola Hayt, Dargoa and DJ J For J like this.